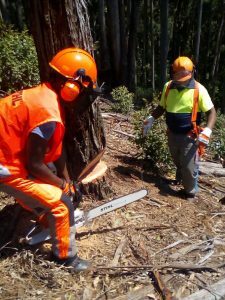 South African Forestry Training College, has been delivering top quality training to the doorsteps of the most remote learners in South Africa thereby giving an opportunity to empower our fellow South Africans with the required knowledge, skills and the credentials to safely enter the forestry job market as a trained and truly competent individual. Delivering recognized top quality training to the doorsteps of the most remote learners in South Africa thereby giving an opportunity to empower our fellow South Africans with the required knowledge, skills and the credentials to safely enter the forestry job market as a trained and truly competent individual. Accommodating literate and illiterate learners by utilising the latest and most effective training methodology, technology, equipment, skills and data to ensure quality and training standards above those of National and International levels. SAFTC provide training that promotes education and upliftment for both literate and illiterate workers in the industry. Training programs are focused on all facets of theoretical training, skills training and most importantly practical and operational application. In pursuit of excellence, SAFTC communicates regularly with stakeholders in the forestry and training industries thereby conforming to the latest market requirements and standards, resulting in our premier service delivery in the forestry industry over the years. SAFTC complies with ALL statutory legal requirements. SAFTC qualifies as an Exempt Micro Enterprise (EME) and the enterprise is deemed to have a B-BBEE status of “Level Four Contributor” having a B-BBEE procurement recognition of 100%. © 2017 South African Forestry Training College, All Rights Reserved.